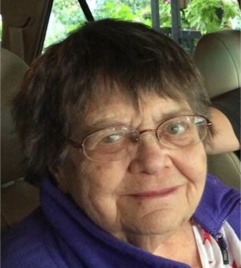 Patricia “Pat” Hay Huff, 88, formerly of Newton, died on December 22, 2017 of heart failure at her daughter’s home in Woodinville, WA, surrounded by family. Pat was born March 10, 1929, in Grinnell, Iowa to Rev. Morris Hay and Margaret (Stevens) Hay. She attended Kellogg schools, graduating with the Kellogg class of 1947. After graduation she attended Drake University where she earned a teaching certificate and taught country school until she married Wendell Huff in 1956. Moving to California and attending Life Bible School they graduated in 1962 and became ordained ministers. They served in many churches including Mingo IA; St Peter, MN; Evansville, IN Terre Haute, IN; and they provided ministry services with her parents’ church at Hickory Grove at Rock Creek, IA and the Newton Foursquare Church. Pat was very well known as the Bike Lady, as she sold and repaired many bicycles and helped many Newton children keep their bikes in good repair. Pat is preceded in death by her husband Wendell “Shorty” Huff; her parents Rev. Morris Hay and Margaret Huff; and her sister June Hay of Newton, Iowa. Pat will be forever missed by her children, daughter and son-in-law Connie and John Essmeier, of Woodinville, WA; and her son and daughter-in-law Rick and Barb Van Vark Huff of Monroe, IA. She has 5 grandchildren and 5 great-grandchildren. A private family Memorial Service will be held in California, but cards with stories about Pat would be appreciated so that a story book about her life can be created. Please send cards with any stories you may have to: Johnson Funeral Service at PO Box 502, Newton, IA 50208 and they will be forwarded to the family. Johnson Funeral Service is honored to provide services to Pat’s family.